Virtually all of TenneT's activities are regulated. These activities are governed by relevant legislative and regulatory provisions in the Netherlands and Germany. Regulatory authorities, Autoriteit Consument & Markt (ACM) and Bundesnetzagentur (BNetzA) oversee TenneT's compliance with these provisions. 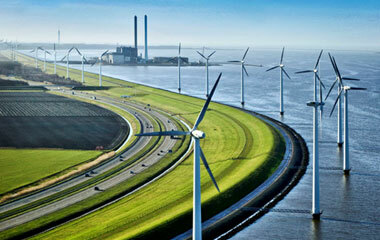 TenneT's regulated activities are managed on country level by two operating segments TSO Netherlands and TSO Germany. TenneT is involved in certain limited non-regulated activities, which help to ensure the energy market operates smoothly and efficiently, or are ancillary to it. As such, TenneT holds a 50% interest in BritNed, a merchant cable operator that manages the electricity interconnector between the Netherlands and Great Britain. TenneT also owns 100% of NOVEC and Relined; these companies manage infrastructure to send and receive broadcasting and telecom signals. Furthermore, TenneT (indirectly) holds a 17% share in EPEX Spot SE (EPEX), the NWE (including Great Britain) electricity exchange. The Executive Board (EB) of TenneT Holding B.V. consists of the following members: Manon van Beek (CEO), Ben Voorhorst (COO), Otto Jager (CFO) and Tim Meyerjürgens (COO). 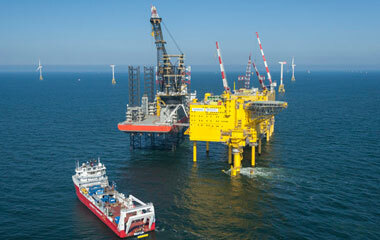 The Board of Management of TenneT TSO B.V. and TenneT TSO GmbH consists of Ben Voorhorst, Otto Jager and Tim Meyerjürgens.